Ethiopia’s ambitious plan (<—really good article from The World Bank) to end exposure to communicable diseases caused by improper sanitation and hygiene practices in rural areas is something we care deeply about. Lauren Werner, our Board Member and team photographer also holds an MD from Wake Forest University and an MPH (Master of Public Health) from University of Wisconsin-Madison. She is passionate about becoming part of the solution that improves sanitation and hygiene for Ethiopia’s children. Roots Ethiopia works school by school to address sanitation and hygiene needs where we work (nine schools). Roots Ethiopia is partnering with local health educators to understand local health beliefs and behaviors. Change must come from within the communities themselves. Diarrheal illnesses spread quickly in schools due to poor sanitation and hygiene practices. Adequate latrines, a source of clean water, and a well-placed hand washing station are the first steps in prevention of diarrheal illnesses. Our goal is not to achieve ODF (open defecation free) areas, but to support safe and effective hygiene practices that will, in turn, prevent illness so that kids can attend school. Latrine construction and maintenance must be done properly so that they function far into the future. This is one of our major long-term goals that is not always addressed in the World Bank Sponsored or government funded latrines, which are built, but if they fall into disrepair then they are no longer used. Girls are missing school due to inadequate facilities, especially when they are menstruating. 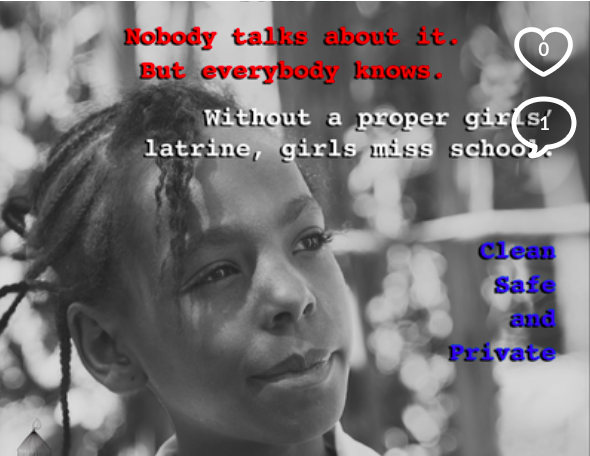 Gender-specific latrines can help address this issue so that girls can go to school throughout the month. To learn more about our hygiene and sanitation plans in Ethiopia, please email us at info@rootsethiopia.org.